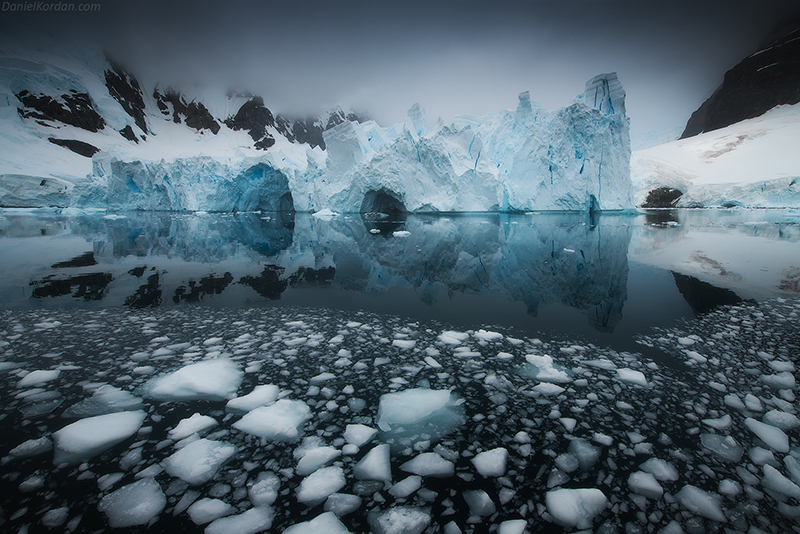 Explore the true wilderness of the Antarctic – the final frontier of landscape photography! 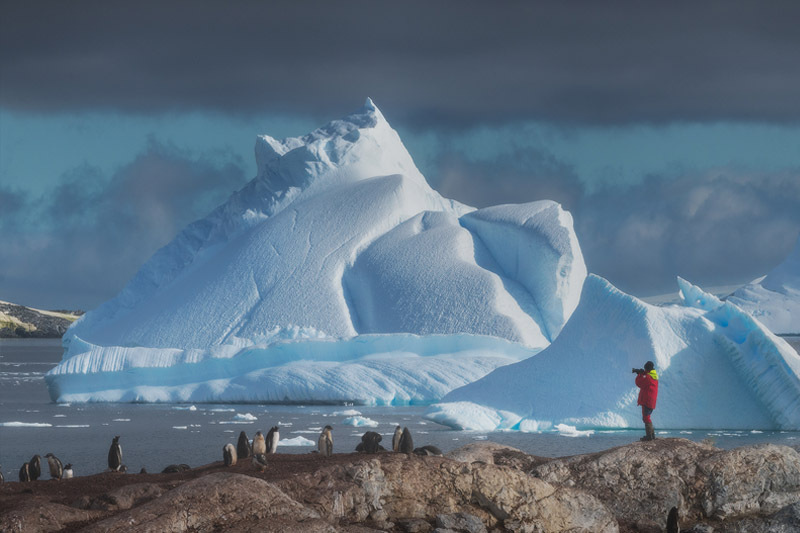 During this 11-day expedition, you’ll come face-to-face with towering icebergs, get up close and personal with vast colonies of penguins, and photograph the abundance of wildlife that teems upon the islands of the south Atlantic. 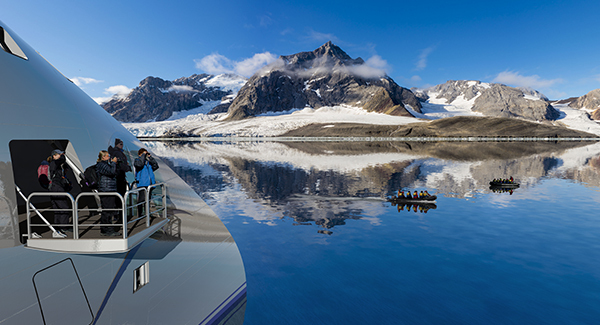 Travelling aboard a luxurious cruise ship with gorgeous, endless summer days ahead and a bevy of enchanting glacial landscapes on offer, this tour is absolutely ideal for keen photographers of any skill level seeking an adventure of a lifetime. 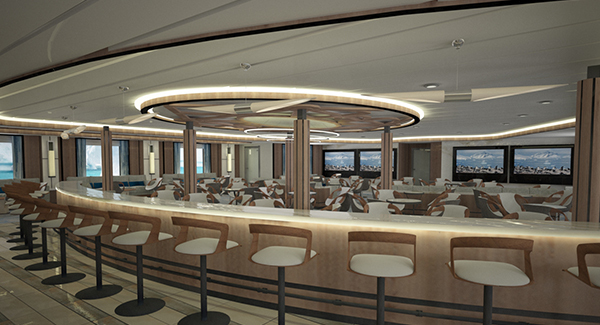 Iceland Photo Tours is proud to partner with Aurora Expeditions and to welcome you on board the Greg Mortimer, a brand-new, fully stabilised polar class 6 vessel that will be launched in 2019. 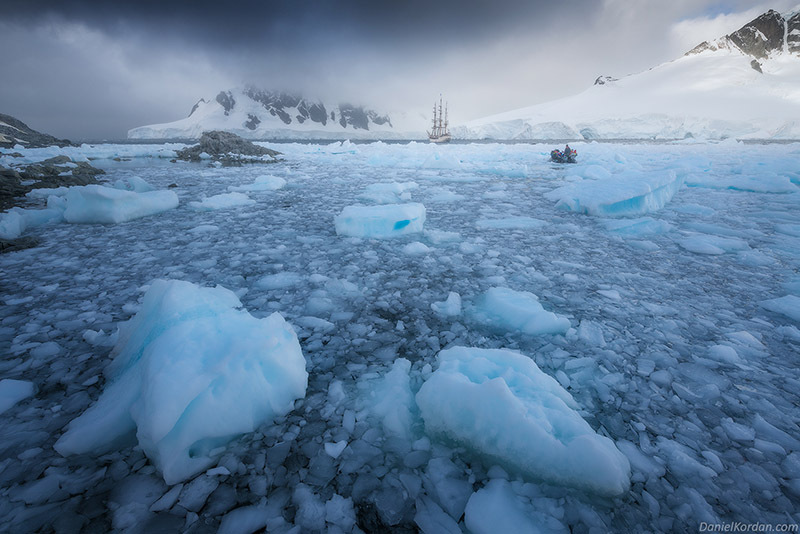 We are excited to announce our joint fly/sail photography voyage that is suitable for photographers of all levels seeking the adventure of a lifetime to Antarctica. The unique nature of this FLY/SAIL adventure means that we will sail through the Drake passage only once, to cross from Ushuaia to Antarctica within roughly two days. On the way back, you will fly to Punta Arenas, thereby extending the amount of time that you will have to explore Antarctica. The cruise ship not only provides comfort but also a learning experience that you’ll never forget. This tour is guided by 4 award winning pro photographers, who will offer a range of processing classes and seminars, lectures on composition, as well as critique sessions to help you build upon your portfolio. All of this onboard an extraordinary vessel that’s hosts only 100 passengers, featuring 15 flexible zodiacs and a friendly, family-style atmosphere. We have 44 spots onboard the Greg Mortimer, reserved out of 100, to accommodate our passengers during this spectacular photography tour. 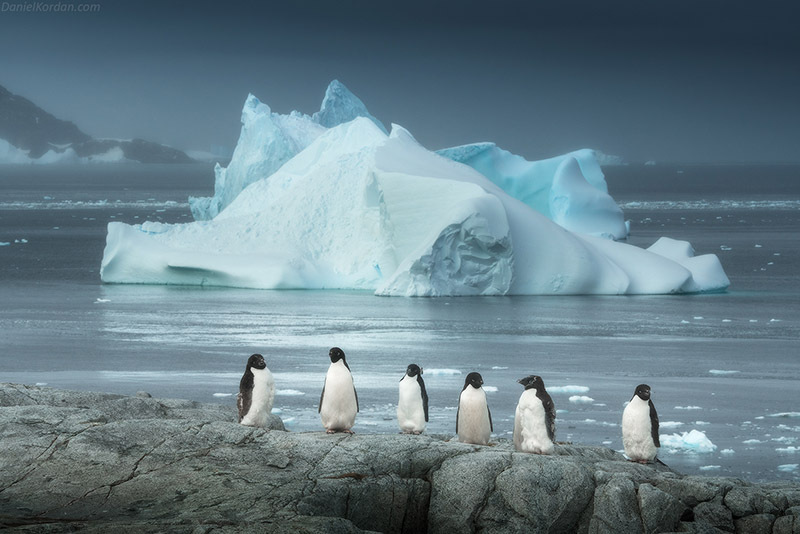 The price of the tour includes tuition and master classes from all of our professional Antarctica photographers. The Greg Mortimer features an art room on Deck 7, that is dedicated to photographers with 3 editing terminals and a special printer. These art rooms will be used as a workshop space for our group. Iceland Photo Tours and Aurora Expeditions welcomes all levels of photographers and even non-photography companions on this incredible cruise. The Greg Mortimer is a 104-meter purpose-built expedition vessel which is capable of negotiating the strongest winds and waves that may be thrown up by the Drake Passage. 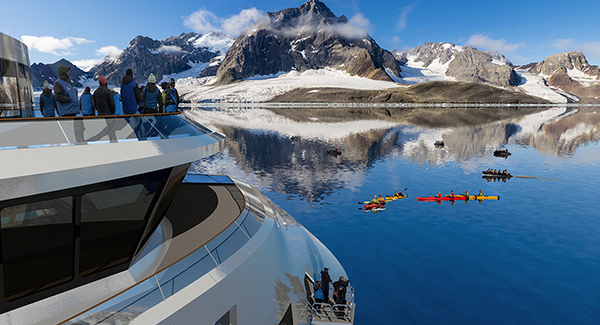 It has been built to world-class polar standards to contend with adverse weather conditions, whilst providing a level of luxury and comfort that will make your time on the open ocean simply unforgettable. 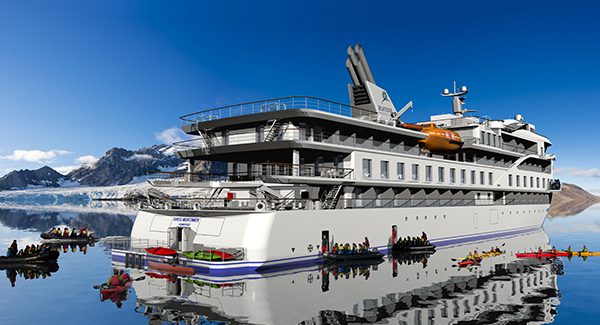 Accommodating just 100 passengers on board, the Greg Mortimer cruise ship is designed to maximize your enjoyment during your incredible adventure into the polar regions. 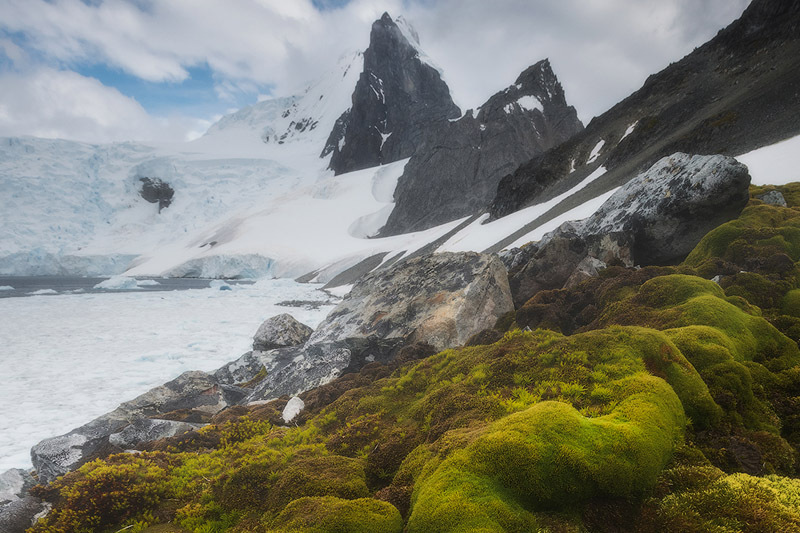 You’ll arrive at the windswept town of Ushuaia, perched steeply on a hill in the Tierra del Fuego archipelago. Situated on the southernmost tip of South America, this town has also been nicknamed the “End of the World”. On arrival, you’ll be met by your photography guides and transferred to your hotel for check-in. The rest of the day will be spent at your leisure; no doubt you’ll need some rest before the adventure truly begins! This morning, your luggage will be collected from your hotel and transferred directly to the port for clearance and loading aboard the ship. In the meanwhile, you’ll have some free time to explore the hustle and bustle of Ushuaia, as well as the nearby mountains of the Tierra del Fuego National Park on the edge of the Beagle Channel. If shopping is your vice, then you’ll be happy to know that Ushuaia is a duty-free port, so it’s a great place to buy souvenirs and presents before the trip begins! Argentinian chocolates and leather goods are only some of the amazing fare on offer. By late afternoon, when you have explored the town to your heart’s content, you’ll make your way to the port to meet your photography guides and fellow travellers before embarking upon the Greg Mortimer at approximately 4pm. Get your camera ready, because as we pull away from port, you’ll be treated to sweepingly spectacular views over Ushuaia and Tierra del Fuego. There will then be an opportunity to settle into your cabin aboard the ship before meeting your expedition team again in the evening to celebrate the start of your incredible journey towards Antarctica over a delicious welcome dinner. Crossing the Drake Passage is an experience unlike any other. It is one of the most dramatic and unforgettable things that you will ever experience. Connecting the Atlantic and Pacific Oceans, it is one of the most tumultuous bodies of water on the planet. 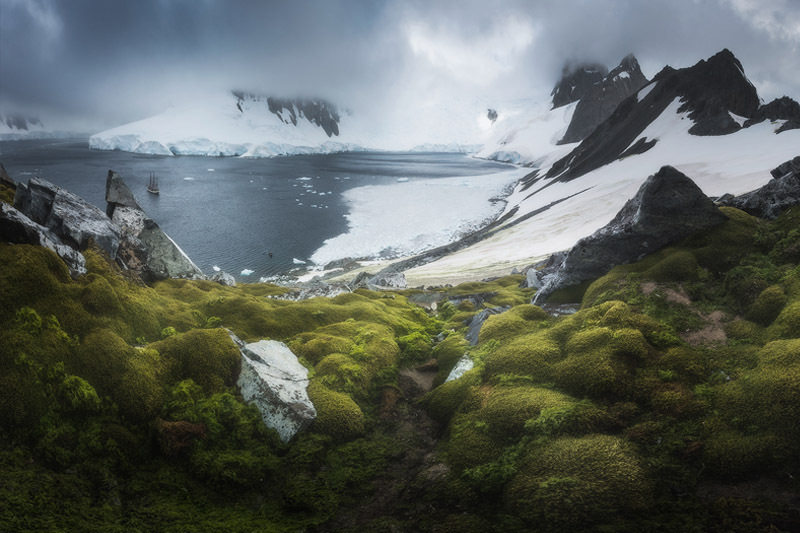 This deep waterway stretches 1000 km wide from the bottom tip of South America to the north of the Antarctic Peninsula. Even if you don’t usually experience motion sickness, the conditions of the Drake Passage can still take some getting used to! So as we commence the crossing on day three, we’ll take our time getting comfortable with the motions of the sea over a series of informative lectures. During these lectures, our expedition team will start preparing you for your first landing by providing a bit of background on Antarctica’s history, wildlife and environment. You’ll also be taken through a number of guidelines and bio security procedures in relation to encountering wildlife – just in time for photographing the many seabirds that you’ll spot trailing behind the ship, soaring skillfully through the sky! Get ready to capture the giant albatrosses and splendid petrels as they rise and fall with the air currents created by the ship as we sail towards the South Shetland Islands. As we near the South Shetland Islands stretching towards the tip of the Antarctic Peninsula on day four, you’ll have the chance to glimpse your first colossal iceberg from one of the ship’s observation decks. 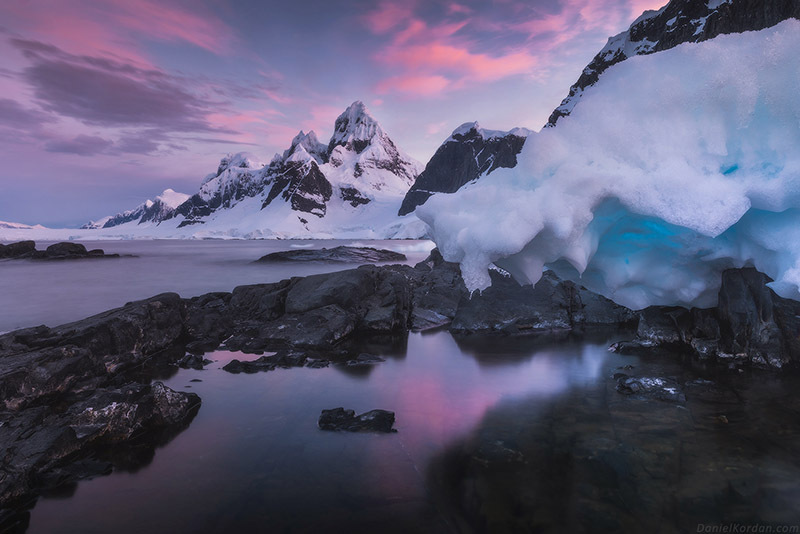 Floating majestically upon the open ocean, these iridescent sculptures of ice have an almost surreal presence that will take your breath away. The icebergs melt as they are exposed to the warmth of the sun’s heat, taking on a variety of astonishing and fascinating shapes. 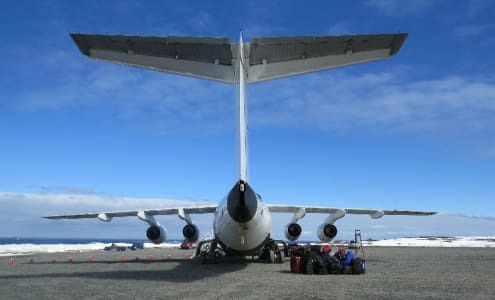 If the weather permits, we may attempt our first landing in Antarctica by the late afternoon. The next six days will be spent exploring the western side of the Antarctic Peninsula. There will be no fixed itinerary, as your experienced guides will use their immense amount of expertise and knowledge to tailor the voyage from day to day. Where you go and what you shoot will depend largely upon the movements of the wildlife, ice conditions and prevailing weather, though your guides will make use of the conditions to provide you with the best photographic opportunities. Our southerly latitude will result in being granted with approximately 18-20 hours of daylight at our disposal amidst evenings marked by glorious, magical Antarctic light. This means that our days will be long and filled with exciting things to shoot! As such, we’ll make landings on the continent or excursions aboard the Zodiac around two or three times a day, offering you ample time to capture the surrounding landscape and wildlife. 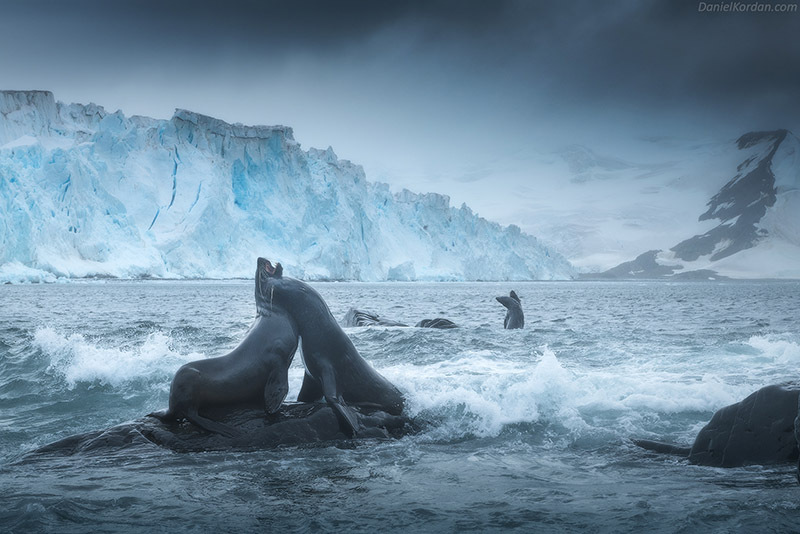 Compositions will abound as we cruise by spectacular cliffs of ice through narrow straits past majestic icebergs, following pods of whales as they break the surface of the water. 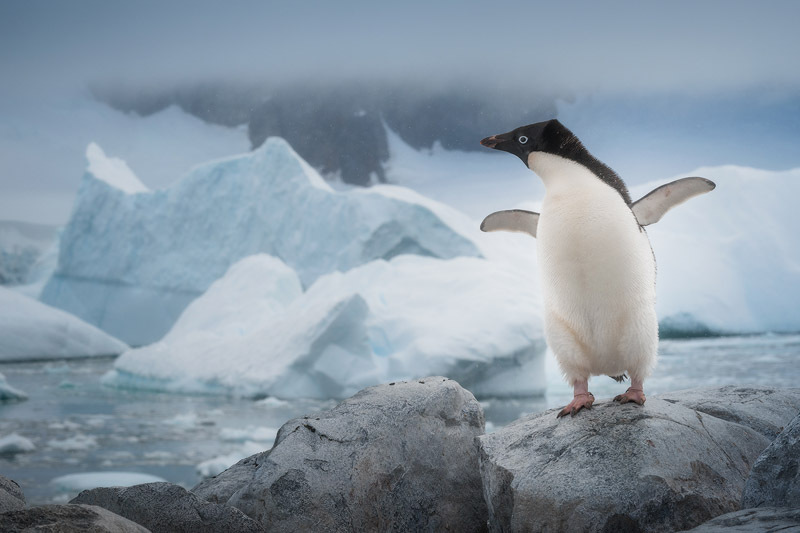 There will even be landings on the Antarctic islands during which you’ll be able to photograph Adelie and Gentoo penguin colonies going about their daily business, seals hauling out heavily on the ice, as well as the spectacular still-standing historic huts from the heroic age of Antarctic exploration. Depending on the weather and timing during this voyage, there may even be an opportunity for you to camp ashore. This will surely satisfy the age-old Antarctic explorer deep within you. 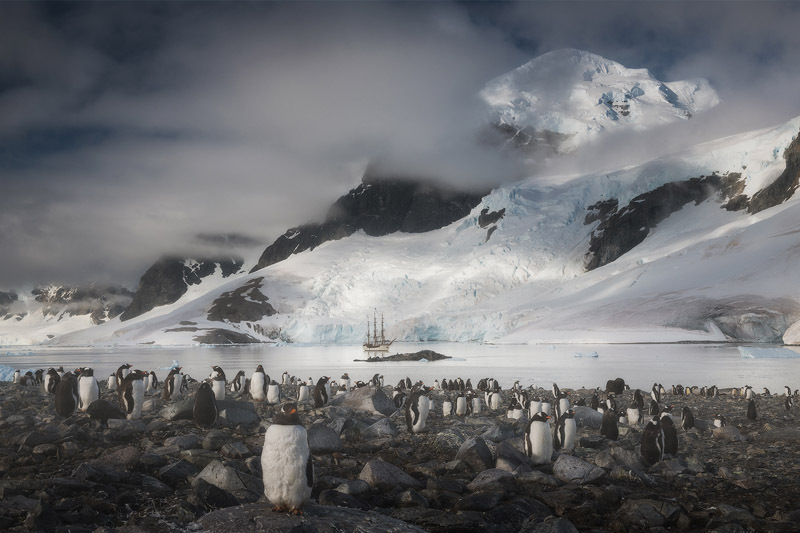 Rest assured though that your equipment will be slightly better than that experienced by Scott and Shackleton a century ago and that our warm and comfortable ship will remain nearby for the duration, should you need to return! On day eleven, our journey will culminate at one of the most remote places on Earth – the Frei Base on King George Island, located at the northern tip of the Antarctic Peninsula in the South Shetland Islands. This is where we will bid our goodbyes to Antarctica, as we board our flight towards Punta Arenas, the capital city of Chile’s southernmost region. On arrival at the Punta Arenas airport, you will be transferred to our downtown hotel, where we will rest before convening for one last dinner as a team. Please note that due to the location of King George Island, flight conditions may vary, adding to the drama of your journey! We apologies in advance if you experience any delays reaching Punta Arenas. By day twelve, we’ll have reached the end of our adventure to one of the last great wildernesses on the planet. 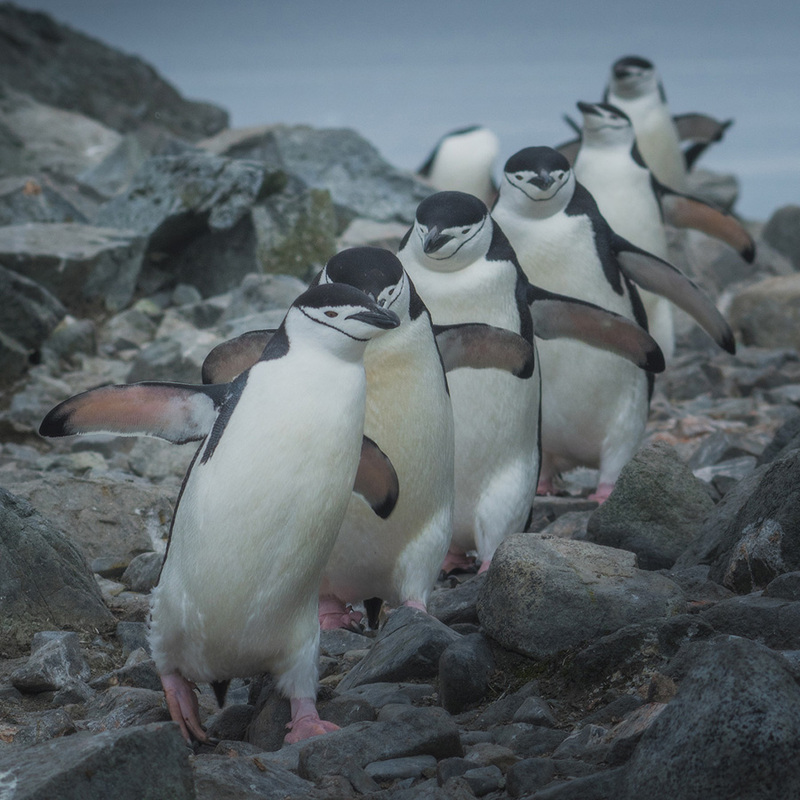 After breakfast, you’ll bid a fond farewell to your fellow travellers upon this extraordinary journey, as we all continue onwards with a newfound sense of the immense power of nature within the frozen kingdom of Antarctica. Please note that the departure airport transfer is not included in your voyage cost with Iceland Photo Tours, so you must advise your travel agent if you require an airport transfer in order for it to be booked in advance. As a modern and custom-designed ship, the Greg Mortimer is at the cutting edge of nautical technology. Robust, powerful and built with our guests in mind, this ship marks a significant investment in our fleet’s capabilities. 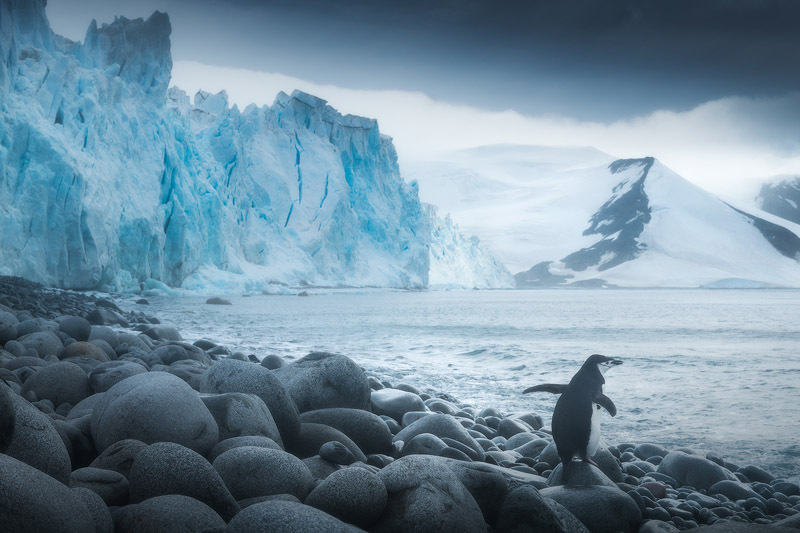 From the European Arctic to the depths of Antarctica, and other far-flung destinations in-between, the Greg Mortimer will make your journey a breeze! 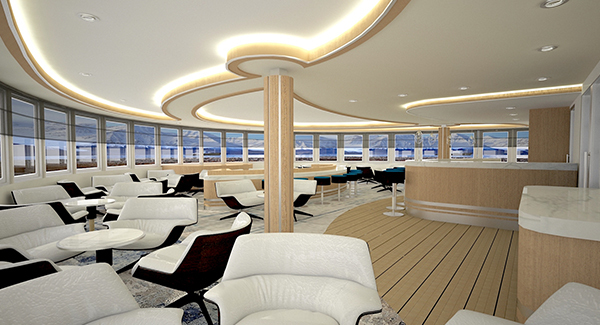 This custom-designed ship is at the forefront of nautical technology. It features patented marine engineering X-BOW™ technology – an inverted bow concept – to make sailing on the open ocean just like a breeze. Meanwhile, unique hydraulic viewing platforms will provide you with uninterrupted views of the spectacular landscape and passing wildlife without disturbing them in their natural habitat. When you’re reading to get up close and personal with the penguins or to traverse areas that the Greg Mortimer simply can’t reach, specially designed platforms will launch you on your way aboard Zodiacs easily and quickly, allowing you more time to explore the landscape and to photograph the marine life and seabirds during each landing. On the off-chance that you’ll find some spare time, a number of optional activities such as kayaking, diving, ski touring are also available, designed in consultation with the ship’s expert activity guides. Of course, your safety is our priority. As such, the Greg Mortimer features up-to-date and concise safety technology with return-to-port equipment that enables the ship to maintain its operating systems and comfort in the event of engine failure. The Greg Mortimer is also Polar Code 6 compliant, holds BV class and is fully compliant with the latest SOLAS requirements. In the event of an incident or accident, a trained medical team will be on-hand throughout your journey aboard the Greg Mortimer, providing all necessary treatment from the ship’s fully-equipped medical centre, allowing you to concentrate on your adventure without worrying about your wellbeing. 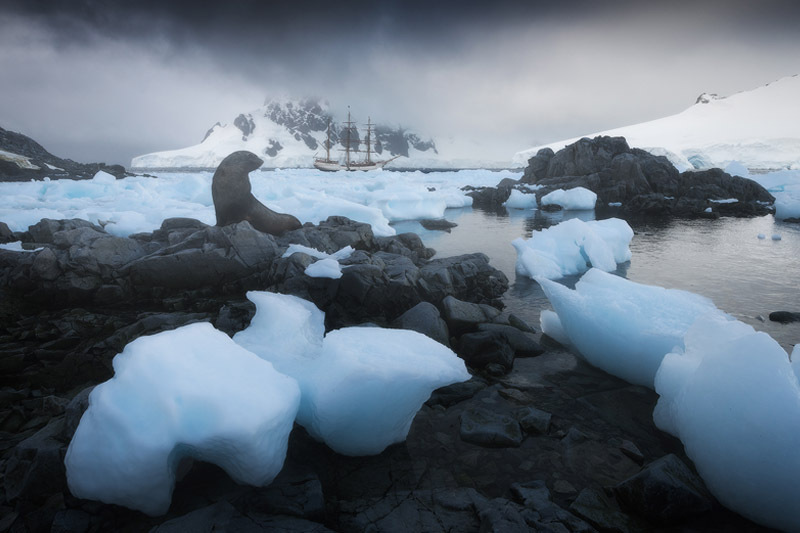 This expedition is designed to maximise your time in Antarctica and South Georgia, utilising a fly and sail experience between Punta Arenas and King George Island that results in less travel overall during the round-trip to and from our destination. 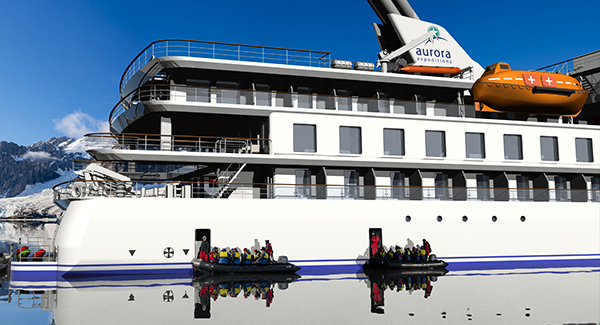 Every participant will receive an expedition jacket from our partners, Aurora Expeditions, upon boarding the ship. 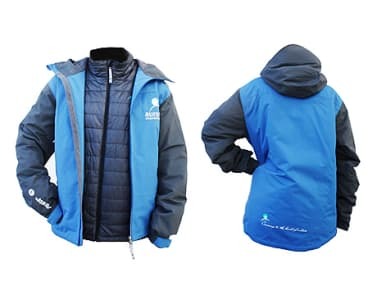 This custom-designed 2-in-1 jacket offers sophisticated styling with a warm interior and is perfect for wearing over base layers during your Zodiac excursions. 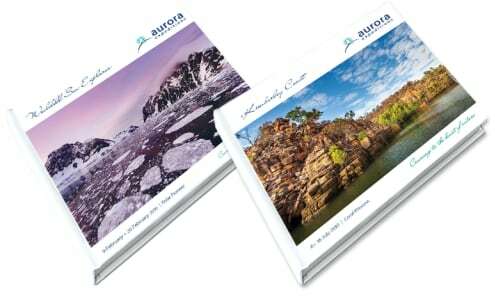 As part of this workshop, you will receive a complimentary photo book from our partners, Aurora Expeditions. This very special keepsake will be a lasting reminder of your adventure, featuring your sailing coordinates, photographs during your voyage, as well as the daily programs that you participate in. The Greg Mortimer is specially designed to offer you an incredibly relaxing experience after a long day of exploring the Antarctic. 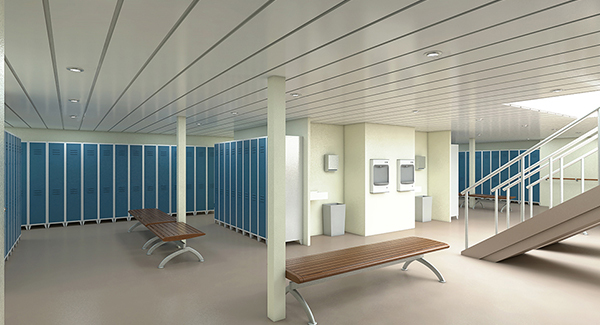 Each stateroom includes a private bathroom, personal storage, twin and double-bed configuration options, international power outlets, daily cabin service, as well as all of the basic amenities that you will expect to need onboard. There are 58 Balcony Staterooms aboard the Greg Mortimer. All feature en-suite bathrooms, sweeping views of the ocean with floor to ceiling windows, and balconies from which you can take in the glorious fresh air. 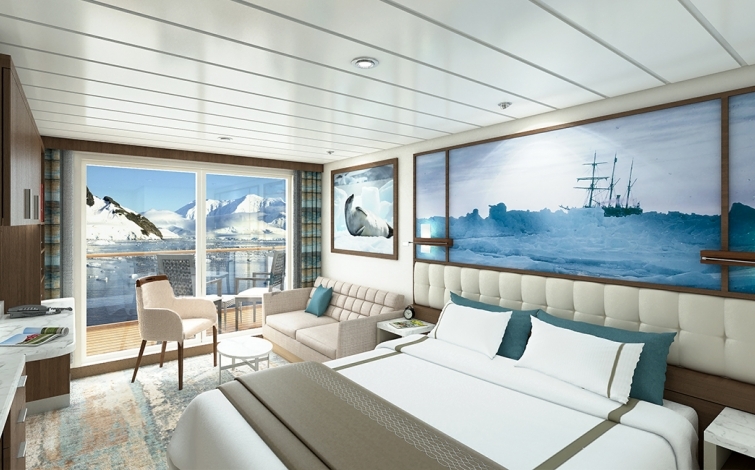 In addition, a select number of Balcony Staterooms are also connecting rooms, which are perfect for families or small groups. During this expedition, the Greg Mortimer will be your home away from home. As such, it has been designed to meet your every need during your adventure to Antarctica! There are several dedicated observation points aboard the Greg Mortimer, which are perfect for spotting birds, watching wildlife and taking in the scenery as it floats past. 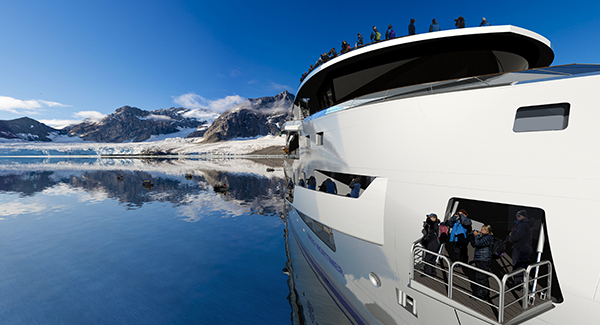 An indoor 180-degree lounge and outdoor 360-degree open deck, as well as two hydraulic viewing platforms and a 270-degree open sundeck offer plenty of space to mingle or to photograph the world as it passes by. At Iceland Photo Tours, we have an open bridge policy, meaning that you can come up to the bridge at any time to see what the captain and officers of the ship are up to. You’ll be able to have a first-hand glimpse at the inner workings of the Greg Mortimer, from navigational practices to observing mapping techniques. The opportunities aboard this ship are endless! Depending on the weather conditions and itinerary, it will be possible to make two or three landings on a daily basis. During these landings, we will explore the landscape to our heart’s content, photographing rock formations, historic huts and colonies of penguins. Our adventures will be made possible by using some of the Greg Mortimer’s 15 Zodiacs, allowing you to maximise your time on shore. The launching platforms at sea level make each transfer easier, faster and safer, enabling you to make the most of your shooting time. If you find yourself with some free time, then you have the option of participating in a range of activities offered from the Greg Mortimer, such as kayaking, skiing, diving and climbing. All activities are overseen by the ship’s activity experts and take place from a specially designed launching platform aboard the ship. From the moment that you step aboard the Greg Mortimer, you’ll be treated to complimentary coffee, tea and snack facilities, in addition to the range of different menu options and courses that you’ll receive for each meal. All meals will be served in a large dining room, where you’ll be able to enjoy a large range of house wines, beers and soft drinks included with the dinner service. On the last day aboard the Greg Mortimer, there will be a special farewell four-course dinner and cocktails – a delightful way for you to reflect upon your time exploring the Antarctic wilderness and to consolidate friendships with your fellow travellers and the rest of your expedition team. There is plenty to do onboard the Greg Mortimer, which is perfect for when you have time to relax between excursions. During the day, presentations will be held in the spacious lecture room, including topics on the history and culture of Antarctica to biology and climate change. Meanwhile, a multimedia room will keep all photographers entertained. For those keen to watch the surroundings, there are two bars and lounges featuring stunning floor to ceiling windows that will make wildlife spotting all the more enjoyable. A library with books and maps will keep you educated, while a Wellness Centre complete with gym equipment, sauna and spa promises to keep you healthy and fit. There’s no better place to treat yourself to a massage when you’re feeling a little sore at the end of the day! US$14900 per person double occupancy. Greater than 120 days from the start date of the Workshop: full refund minus $300 service fee.